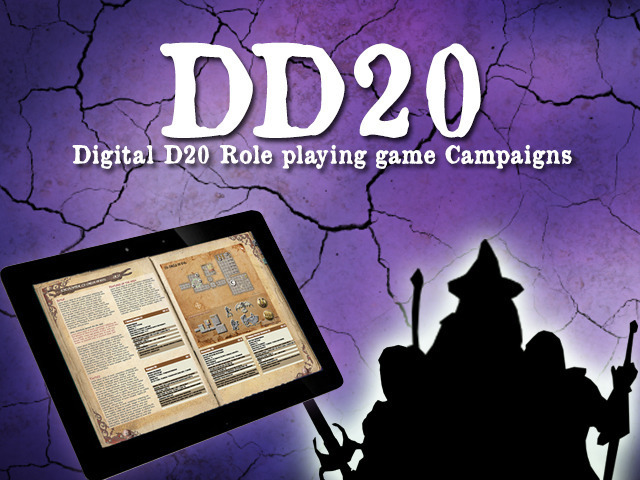 Digital D20 is a new app for mobile phones and tablets that help streamline your gaming sessions by digitizing a lot of the paperwork. Hello! We are two friends, Fernando Garcia and Fernando Setién, that have been playing RPGs since we were child: afternoons and evenings enjoying amazing adventures that forged our live. Over time, other kind of duties such as family or work has decreased the time we could use for our loved hobby. From one or twice a week we moved to once a month then even with less frequency. On those chances that we managed to play it was really annoying to waste part of the time remembering the plot or searching rules on the manuals. Talking with similar groups of players we realized that this was a common problem for more people. It was also hard to find the time for the master to prepare good adventures. Then, how could we improve the time we spend playing Role Games when the time is so scarce? That was our starting point on looking for solutions. First, if we could create modules with all the information required to be played? And, what if we could create a simpler way to move from characters and physical places making easier to remember the state of the plot? And if those modules were be completely adaptable to any campaign? In order to answer all this questions DD20 emerged, that pretends to aim the use of new technologies with the spirit of the classic hobby that some many hours of fun has given us. Moreover, we think that Digital D20 can make younger generations enroll on tabletop Role Playing Games. They love their phones and their tablets, and it is difficult to change that trend of ludic consumption. Introducing Role Games in a format more familiar for younger, it will be easier to join us in this fabulous passion. Now, you know what we want to create and why. We give thanks to Kickstater the opportunity to share our project. And now, let see if there are still enough people in love with RPGs to make this happen. We are waiting for your support and thanks in advance. Alea jacta est!